You (yes, YOU) are a part of something BIG—much bigger than yourself, in fact. But in this rat-race called life, we often don’t see that “big picture.” Too often we are blinded by our own humanity. It groans within us for that “pie in the sky” pursuit of success as dictated by the culture we are submerged in. And what defines success in our culture? A good paying job with a fat paycheck. A nice family and nice stuff. 200,000 Twitter, Facebook and Google Plus followers. A large church with lots of programs. A blog with lots of subscribers. A voice to write best-selling books and to speak at packed-out amphitheaters. And in all of these-the bigger it is, the better it is. You can almost hear the “Bigger is better” mantra humming from the dark corners of our society. But honestly, it really does make sense. To be seen, everything has to be big—HUGE even, because there are just so many of us trying to be seen and heard. But here’s the thing—whether we know it or not, we all are seen and heard already. And what or Who is big enough to see everyone, everywhere, ALL the time? Everything that was made (that’s you and me, too) was made through and for Him. That means we are a part of something bigger—something that we never even asked to be a part of. Something planned before the foundation of the world. We were designed and made by our awesome creator for His Master Plan. And He has a goal for those plans. He wants to be the famous One in our lives. Not because He wants to be “Bigger and Better”—to achieve greatness in this life, like we often desire. It’s because He already IS the famous One. All you have to do is look around. The sky, the sun and moon, animals, and people… There is nothing created that His hand has not touched. He has proven His worth over and over again with each turn of the earth to face a new day. And the most mind-blowing part is that He loves us enough to invite us to know this truth and to be a part of it. But what if I looked at my life differently? What if I saw everything in light of the something BIG that God placed me in, and what if I worked to that end? We have a natural bent to pursue only what makes us happy in life—our wish to be “bigger and better” than everyone else is proof positive of this fact. We attempt to do life while denying all claim, control and character of God Almighty. Once we understand our need before God, we can begin grasp the magnitude of His gift of deliverance from our sinful state. And once we “taste and see” that the Lord truly is good, we will see the value of being forgiven by Him. We will understand the value of being “transferred into His kingdom” by the precious blood of Christ! 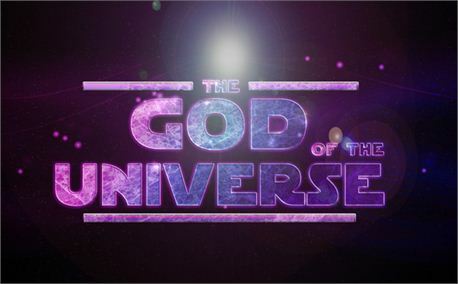 Then, we can fulfill our role in this BIG thing God started and invited us into. In fact, it will be BURSTING out of us! We will have an insatiable desire to be a proclaimer of God’s mercies—warning and teaching people about His claim on us, His control of all things, and His Wonderful character! That is a BIG deal! Look at the grace we have been given in Christ. Look at the mission that God has placed before us as His people. That is a big job. And no one person can do it alone. Now let’s get the lead out, and get going! Let’s decide to get those stars out of our eyes and instead, let’s fix our eyes on the One who made the stars. Participating in linkups with these lovelies! Christy, I love how you remind us that we are created through Him and for Him. Thanks for bringing that to light through that verse. When I read the title to your blog, I just had to find out the meaning behind it. 🙂 What a great message that we can’t clean ourselves. We need Jesus! I’m glad I was your neighbor at Kelly’s today. God bless you! Thanks, Trudy! I appreciate you taking the time to read and comment, but most of all I am thankful it pointed you to the Lord! That’s the whole point! 😉 glad to linkup with you! I needed this tonight! I really should just quit looking at my blog stats and let my mantra be “God knows who needs to read this and he’ll direct the people there that need to see what I felt led to say.” If it’s all in HIS hands, I don’t have to wring my hands in worry :). Thank you! I am so happy this ministered to you Anita! Praise the Lord! Great post! I keep reminding myself of this – it’s not about what worldly success I achieve, it’s about being faithful to the step God has laid before me. Whether I reach one person or one hundred, that’s not for me to worry about. I just have to keep pressing forward. Amen! Yes! Keep stepping for HIM! 🙂 Thanks for linking up! Oh, yes, I get this. God’s been talking to me about plans. 🙂 I needed this reminder that I am seen and known and I don’t have to do anything to change that. 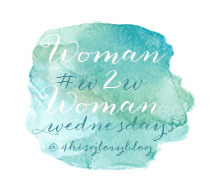 Thanks for linking up at #ThreeWordWednesday. Ahh Christy, I myself get caught up in numbers – in one form or another. Thanks for reminding me it’s all about Him! Great post! Thanks Carmen, let’s just get “caught up” in Our Savior! 😉 Nice to see you again! Loved your words here, Christy. You are so right – we can caught up in the pursuit of a piece of the “somebody pie” – but in Christ we are so much more than that. It is a beautiful and wondrous fact to linger on – that a BIG God works in such amazing ways in our small lives – and it is enough – we are enough. Thank you for the encouragement. Just stopping by from #tellhisstory. Thanks for the encouraging words. Striving to be a part of God’s plan rather than asking Him to be a part of mine. Christy, great words. I really love this post because he is SO at work. It is not about the BIG it is about the Heart. I am really cheering on your wisdom and your truth that you shared today. Thank you so much for being an amazing part of the #RaRalinkup! What an encouragement, as we live in a world that pushes be all you can be. I want to be all God created me to be! Such an encouraging piece! 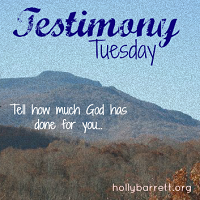 Thank you for sharing with us at #TellHisStory!